We are Galileo Squad Drill. We are a team of 6 people plus a commander that compete against other schools every year in the fall. In this team, we learn discipline, control, and order; but we also learn teamwork. We are 7 different people that come together to complete one goal. We have practice everyday after school for 2-3 hours. Occasionally, we also have weekend practices for 3-4 hours. Everyday we are together, the bond between us gets stronger and stronger. We are Galileo JROTC Color Guard Team. It is the most honorable and proudest drill. We are a team of five cadets. We are are the elite drillers in this battalion and we are dedicated to what we do in the team. We march with a patriotic glimpse of the future, carrying not only the mere flags of our school and America, but the symbol of growth and Americanism. We set for one goal and one goal only, to be victorious in the Annual Fall Drill Competition. We are the best at what we do. We practice 2-3 hours during the weekdays and 3-4 hours during the weekends. We are the best at what we do and we are Galileo JROTC Color Guard Team! Drill Platoon is composed of a 4 by 4 with a commander and a platoon sergeant. The purpose of this team is to exemplify precision and discipline. Every year we execute the same drill, the same commands; however each year new cadets join the team, contributing to it their individuality. Drilling is the basis, the foundation for most JROTC teams and that's what makes Galileo's Drill Platoon like no other; it is the one team where people with very different skills from Drum Corps, Girls Drill Team, and Silent Drill Team come together as one. We share a common goal to strive for the best and together that's what we'll do. 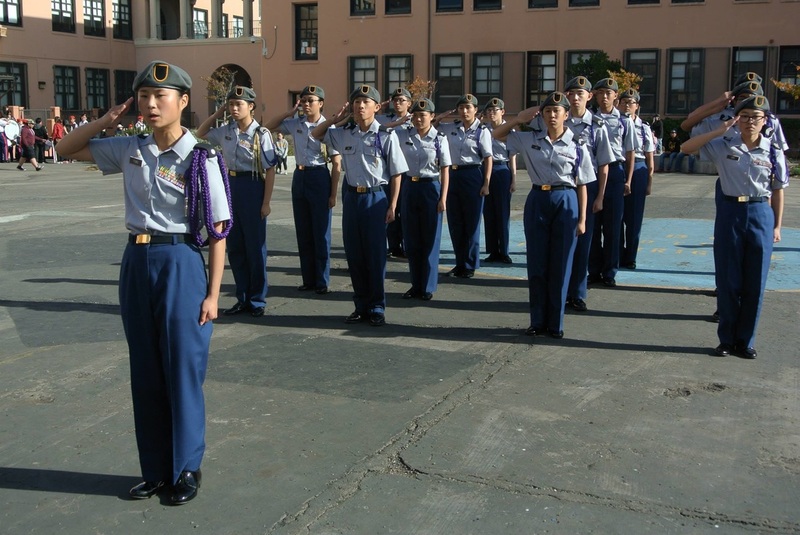 ​Exhibition Drill Team (EDT) is dedicated to teamwork, consisting mostly girls but is available to boys as well. We work on drilling, singing, and sharpness everyday for 8 months to instill the spirit of discipline and camaraderie within the team dynamic. We regularly have weekend practices and afterwards, we'll always find a place to eat pho at and it’s a great way to bond with each other. We have one competition every year and when the time comes near we'll shout at the end of every practice, “PUMP PUMP PUMP IT UP! PUMP THAT G-HOUSE SPIRIT UP! !” It encourages us to work even harder. This annual ritual shows our commitment and dedication not only to the competition but to each other. This above all else is what makes our team truly special. The Silent Drill Team (SDT) is a team composed of at least 9 people. We drill intensely with 4-5 lb poles everyday to instill discipline not only physically but mentally. We're looking for cadets willing to dedicate to the team since our drills focus heavily on synchronization, and we can't manage that without communication and support from each other throughout the drill. Joining SDT has definitely changed my life as this will be my fourth year on the team and being Captain, I've needed to learn self-discipline, employ perseverance, and at times remind myself that anything is possible. I created many bonds through this team that I will never forget and definitely encourage others to discover their self in the Silent Drill Team. Drum corps is not only a team but a family where you can go to and chill. Dedication is the key to this team and anyone can join! What we do in Drum Corps is participate in Parades, Performances at school, Fundraise, and Spring Comp. No experience needed. Instruments you can tryout for: Snare, Toms, Bass, Quads, Bells, and Cymbals. Drum room is always open to anyone willing to join. Practices during fall will vary and will practice at Galileo Academy.